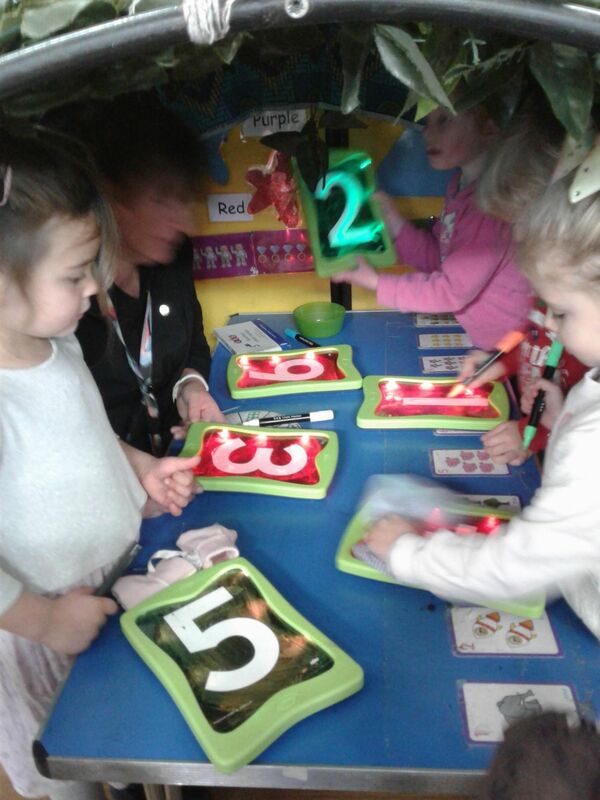 Dark Den Maths at Nightingale. 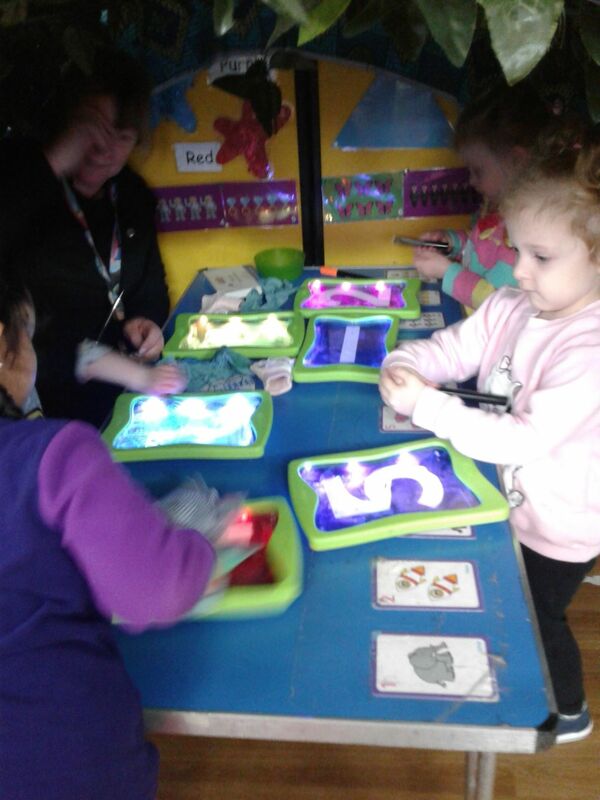 The children really enjoyed going into the dark den maths area and using the light up mark making boards to practice their pen control skills and number writing. They are now looking forward to using the boards for letter writing and pattern drawing.